Hello everyone and welcome to our 3rd special Build-A-Flower Release- this month we have the gorgeous Build-A-Flower Magnolia! We are excited that every month on the 15th we will have a special release of a new Build-A-Flower Set – so make sure to look out for these beauties they are sure to make an incredible collection! Each of these special releases will comprise of a 6×8 stamp set and a coordinating die so you can easily create your projects. This will only be available as a set, and not individual products. Nothing says Spring more than the beautiful blooming magnolias! This stunning flower has been loved and cherished for thousands of years. In ancient China, magnolias were thought to be the perfect symbol of womanly beauty and gentleness. In Victorian times, magnolias symbolized dignity and nobility. 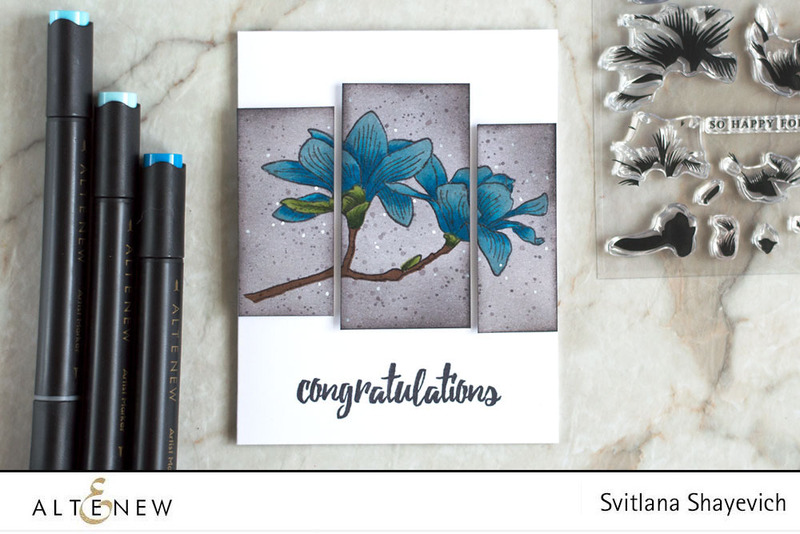 Wouldn’t you love to add a touch of elegant beauty to your paper crafting projects with this easy-to-use, multi-layered magnolia blooms? This one is a must-have for your flower collection! Make sure to visit designers’ blogs for more details and leave them some love. 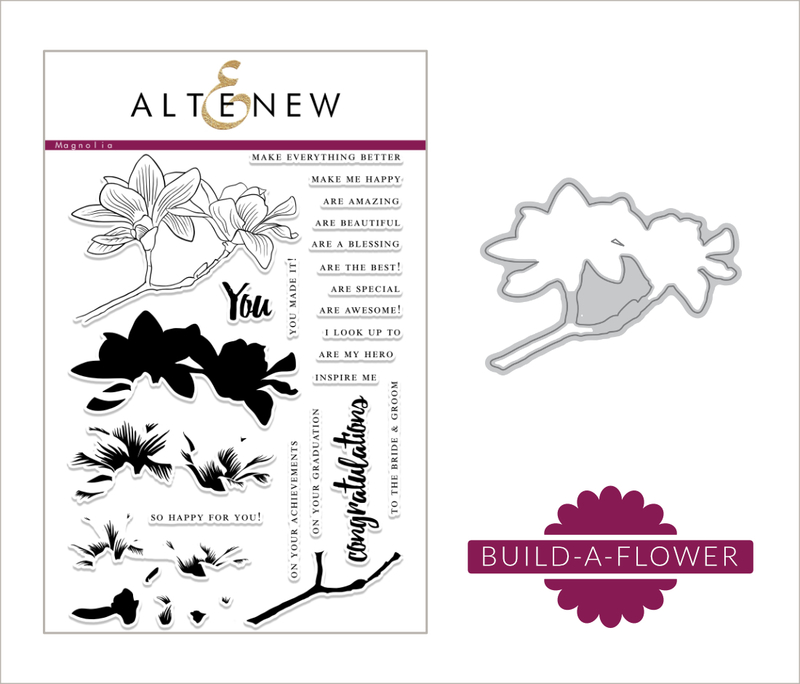 We cannot wait to see what you create with our Build-A-Flower Magnolia. To celebrate this special release, we are giving away a $30 gift certificate to THREE lucky winners! Please leave a comment here on the Altenew blog for a chance to win. The winners will be announced on Tuesday, May 23rd. Beautiful cards! And beautiful magnolia! Thanks for the chance! Wow. Can’t wait. Beautiful cards and dies. My mind is going crazy with ideas. You have gorgeous stamps and cards thanks for the ideas! All of your floral stamps and dies are gorgeous but I think you have “knocked it out of the ballpark” with this one! Gorgeous flowers and great cards! 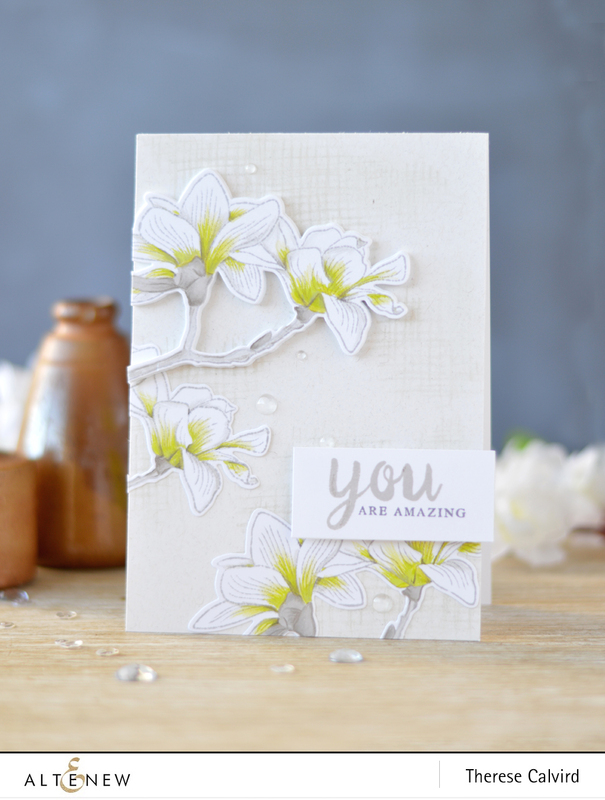 What gorgeous cards, and I love this Magnolia Set!! Every spring I wait for the Magnolias – in our neighborhood are some wonderful big trees – I love the blossoms.Your set is adorable and the shown cards too. 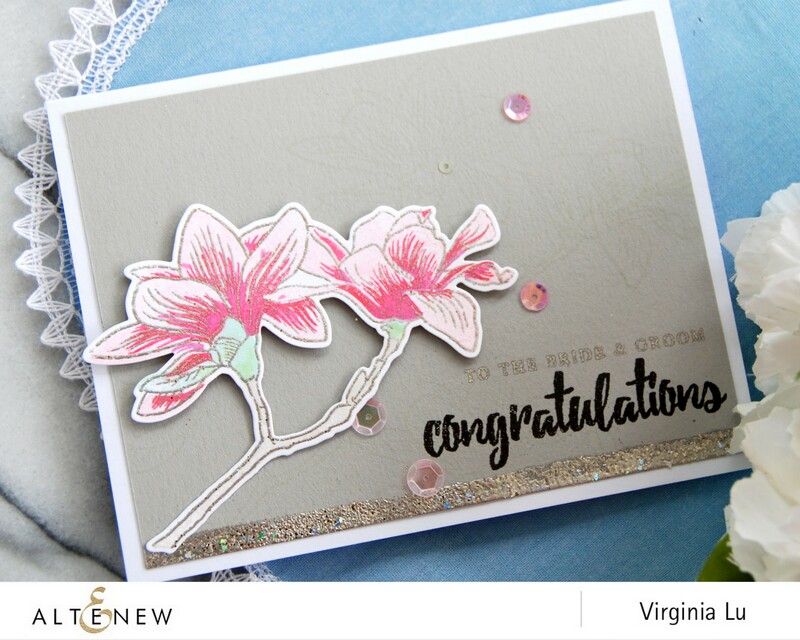 This magnolia stamp set and how the gals designed them into Beautiful eye catching cards is stunning. Really ladies you are the best!! 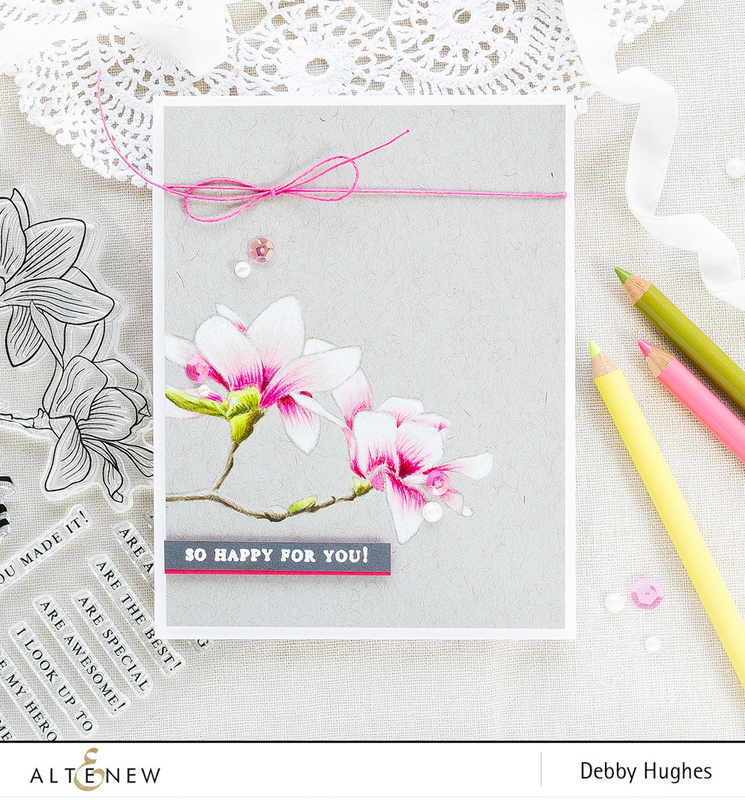 Although all of the card samples are beautiful, Debbie Hughes card has inspired me to purchase the Magnolia stamp and start making cards with it. What a gorgeous stamp set! Your flower stamps are some of the most beautiful I have found and these cards are so pretty! Thank you for the inspiration and the give away! 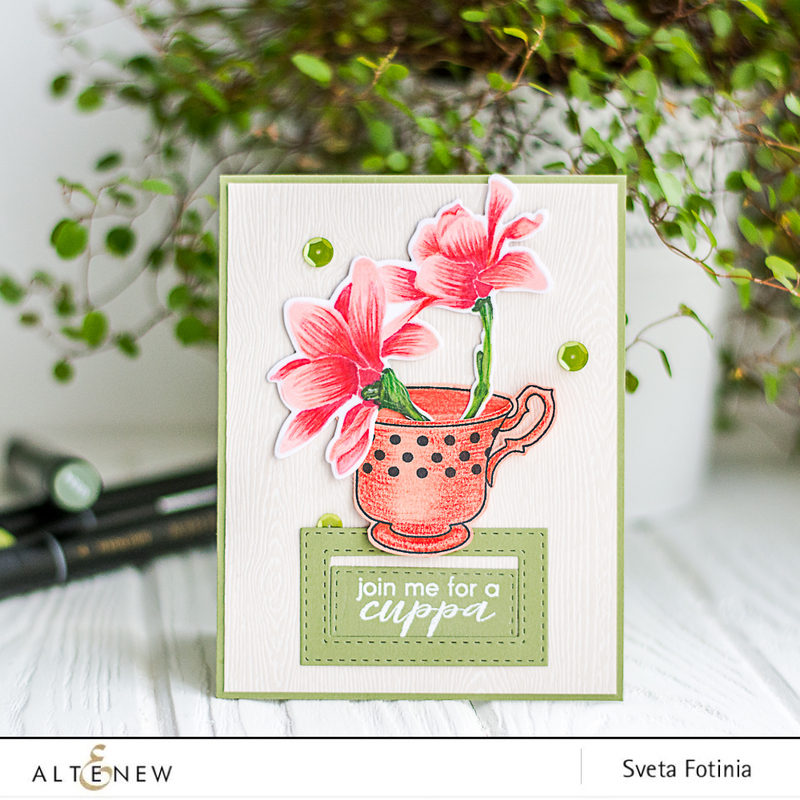 Altenew is my favorite laying stamp collection. It’s so very helpful to have the placement guide as sometimes I just can’t figure it out ! Love the magnolia set. It is a must have in my stamp inventory. Beautiful! Gorgeous creations and a gorgeous stamp set!!!! Just received my Build a Flower Magnolia set and can’t wait to give it a try. Thank you Altenew for such beautiful images to work with.